Northern has announced details of the services which will run to and from Manchester on Tuesday May 23. The revised timetable has been produced following last night’s incident at Manchester Arena; Manchester Victoria remains closed to the public and is unlikely to re-open until Wednesday morning at the earliest. As a result of the closure there will be no services operating to or from Manchester Victoria until further notice. Rob Warnes, Performance and Planning Director at Northern, said: “Manchester Victoria will remain closed on Tuesday as British Transport Police and Greater Manchester Police continue their investigation. 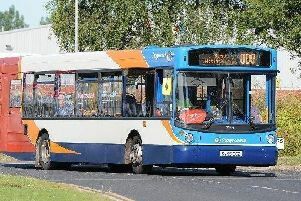 Northern is also working to provide a limited bus service between Rochdale and Manchester, but the details are yet to be confirmed. For up-to-date travel information please check National Rail Enquiries.